Another crossword great passed away a few days ago, and his death, though not unexpected, came as a particularly heavy blow. I had been in touch with him recently about a puzzle he'd submitted to The Puzzle Society Crossword, and when I accepted it, I realized it might end up being his last. I bumped it up to the soonest date I could, scheduling it for August 7—but that turned out to be too late. Mel's life and importance to the crossword community has been eulogized elsewhere by others who knew him better than I, most notably Will Shortz. But I will always think of him as one of the most generous constructors I had the pleasure of interacting with, albeit at a distance, in creating this blog. 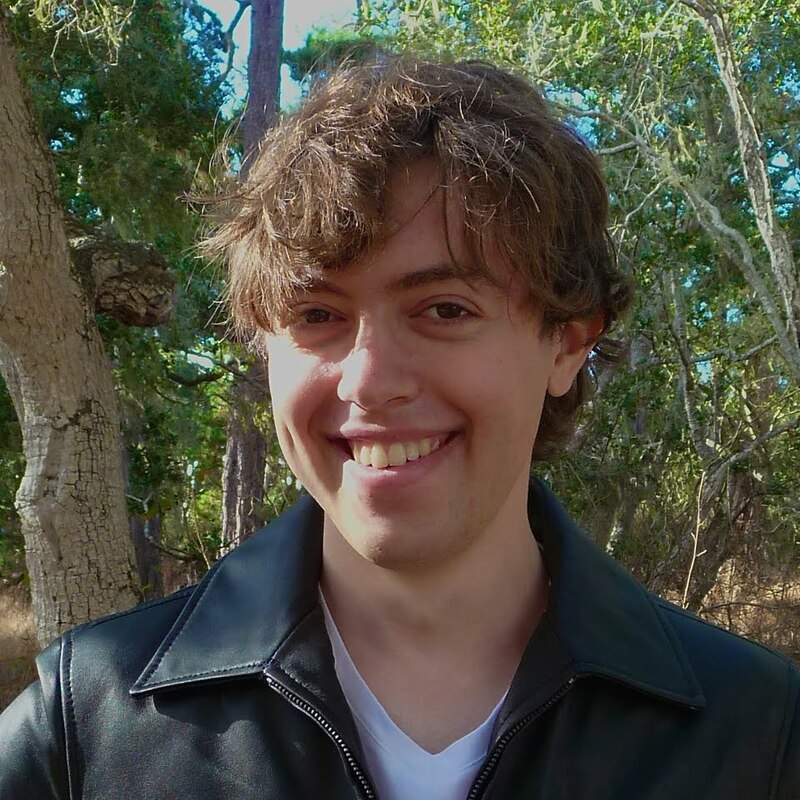 He responded at length to the many questions I, a high school sophomore, asked via email about his cruciverbal life; his answers became the 2013 interview that can be read here. A 2010 L.A. Times Crossword Corner interview by C.C. Burnikel appears here, and a 1994 profile by Alex Vaughn in Crossw_rd Magazine is available on the pspuzzles Scribd site here. 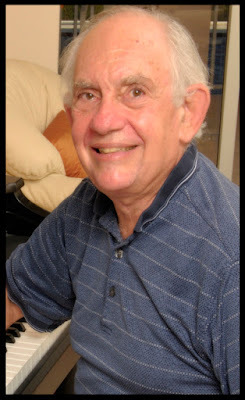 Author of the classic Random House Puzzlemaker's Handbook and former editor of The Crosswords Club, Mel published at least 24 pre-Shortzian puzzles in The New York Times and 14 in the Shortz era. As editor of the former OCRossword, I published two puzzles by Mel in The Orange County Register. One was what he called a Dilemma Crossword. The grid had bars instead of black squares, and it was split into two identically structured 8x15 halves. Each clue was actually two different clues separated by a slash. The catch was that the solver had to figure out which answer was to be entered into which half, since the order of the clues was scrambled! Mel needed to have one entry joining the two halves, and he aptly chose TWO SIDES OF A COIN. Easily one of the most memorable puzzles I ran in the Register. Mel's creativity and originality were surpassed only by his character. Earlier this year, I had approved what would have been the second of his ideas for The Puzzle Society Crossword. He sent along an initial grid, complete with clues, and I responded by asking him to make a handful of changes. In his usual positive, cheerful manner, Mel said he'd get to work on a revision. A few days later, he told me he'd discovered a New York Times puzzle with a similar theme that we'd both overlooked. Mel didn't want to put me in a pickle, so he dropped the idea altogether, no questions asked. Considering how much work he'd put into that puzzle, his decision was truly admirable. The August 7 Puzzle Society Crossword will be the last Mel Rosen puzzle I'll have the honor of publishing. As per usual with Mel's puzzles, the theme is exceptionally clever, so be sure to mark your calendar! Thanks so much again, Mel—rest in peace. All available puzzles have now been litzed. 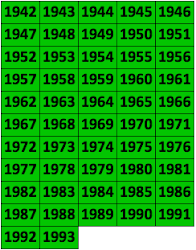 We are still trying to locate the missing 142 puzzles, most of which were not published in New York because of newspaper strikes. See the puzzles on XWord Info! My name is David Steinberg, and I've been constructing and solving crosswords since I was twelve. I came up with the idea of building a database of pre-Shortzian New York Times crosswords while thinking about a possible project for my science research course. I found Barry Haldiman's Web site, and the rest is history! 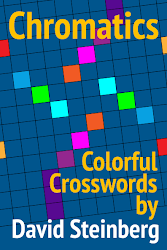 My goal is to work with the crossword community to complete the database and make it as accessible and useful as the database of Shortzian crosswords on Jim Horne's XWord Info. 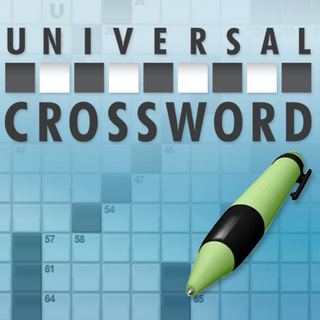 Click to solve the daily Universal Crossword! Click to solve the daily Puzzle Society Crossword! 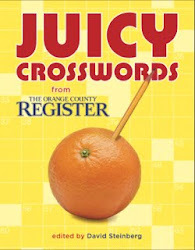 Juicy Crosswords, featuring 72 puzzles from The Orange County Register, will be published by Sterling Publishing/Puzzlewright Press in 2016. It is available for pre-order now from Barnes and Noble by clicking the cover photo or from my author page on Amazon by clicking here. Chromatics, published in 2012, contains 25 original puzzles and is available from Puzzazz by clicking on the cover photo.